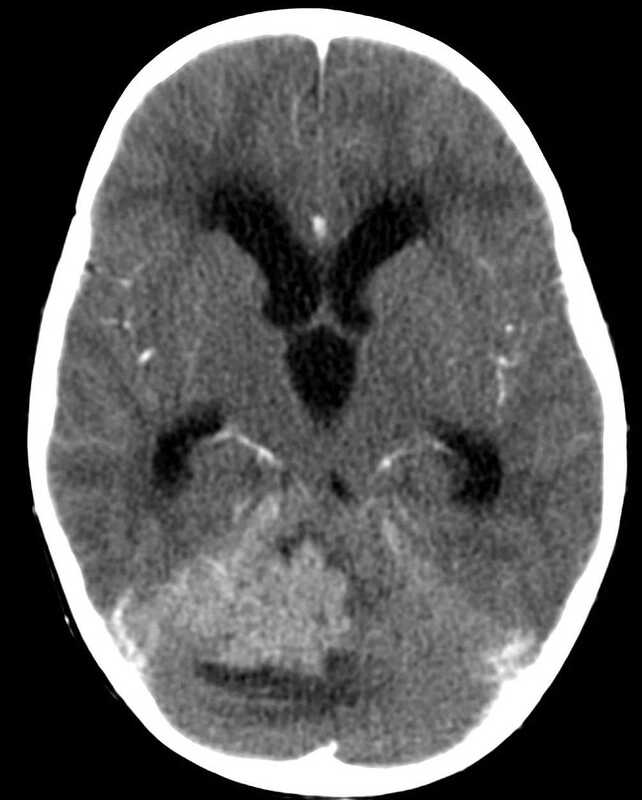 Image 1a, b and c (Computed Tomography): Non-contrast and contrast-enhanced CT scans showing a large mass centred within the right side of the posterior fossa causing mass effect and compression and deviation of the 4th ventricle to the left. The lesion appears mildly hyperdense with multiple small cysts seen within the mass. There is vivid enhancement with IV contrast. 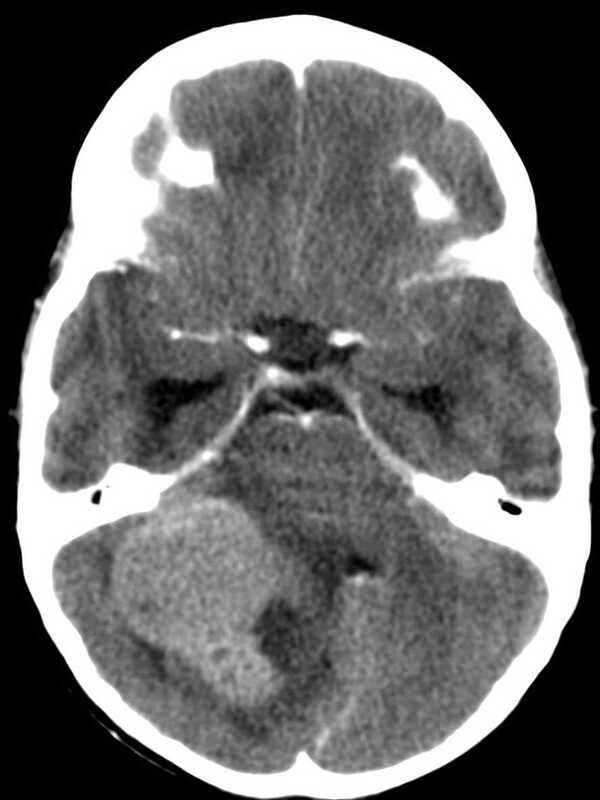 The paramidline location is atypical for a medulloblastoma. Bonthius DJ, Lee AG. 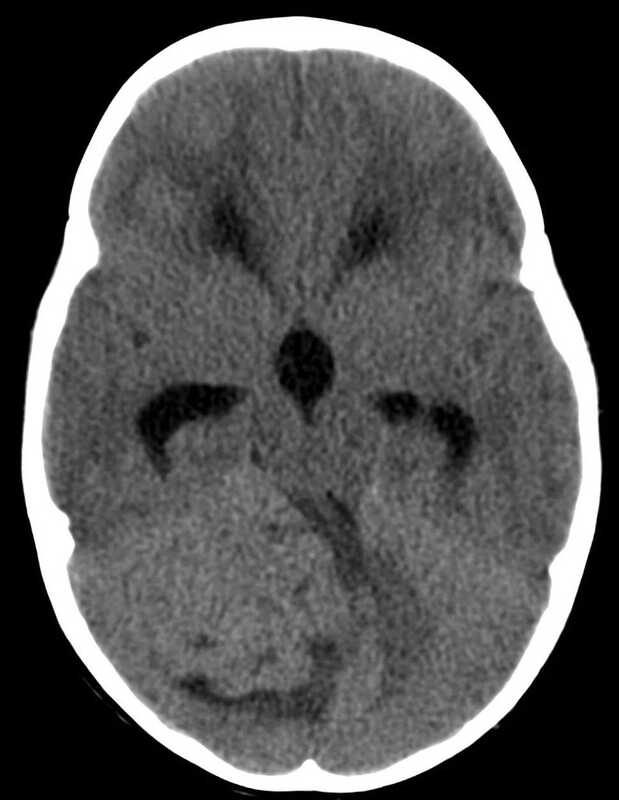 Approach to the child with headache. In: UpToDate, Basow, DS (Ed), UpToDate, Waltham, MA 2015 [cited 2017 02-06-2017].